Looks like we're going to have to dust this ad off again. Seriously, what the hell are they doing? Whispering sweet nothings while dry buffing a landau parked on top of a goddamn waterfall? Yes, that's exactly what they're doing. Seeing an impeccable malaise-era steed in the flesh is equally fascinating and perplexing. It's a joy to see an unmolested relic of a simpler era, a time capsule to when cars were made of metallic materials and had a drivetrain that was generally reliable and easily serviceable. Today, most are public safety hazards, exempt from emissions or other standards of decency, rotting in the street and occasionally coerced into going to the grocery store, waiting out the days until the next repair bill is greater than their scrap value. Every so often you find an unexceptional car in excellent condition, and the interest shifts from the vehicle to the owner. Who owns this thing and why on earth is it in such great condition? 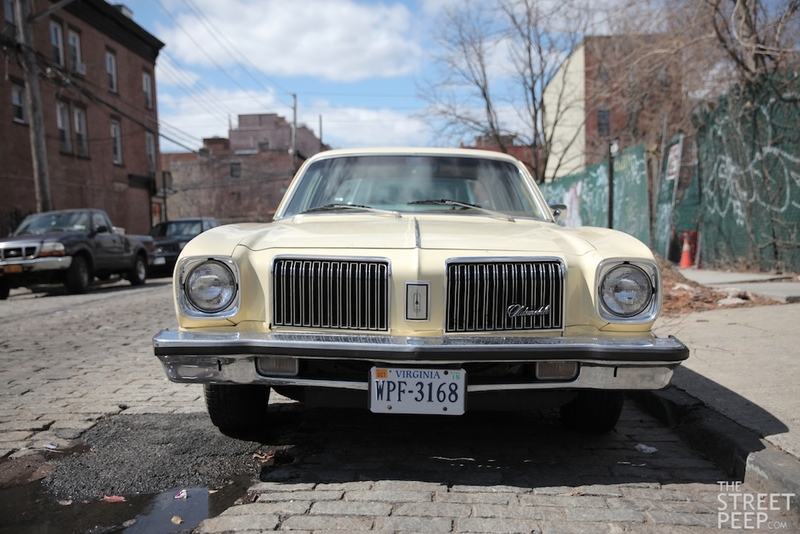 A little digging reveals that this mint Olds is driven by New York Times automotive writer Benjamin Preston who offers some wonderful insight into the history of this example. In a great writeup in Road & Track, Mr. Preston was for some inexplicable reason in the market for '80s to early '90s Buicks, Oldsmobiles, and Pontiacs. Why is not clear - maybe a nostalgic throwback or perhaps an undiagnosed illness brought on by the year's unrelenting winter. This cherry Omega caught his eye on Craiglist, and with 86k on the clock and nary a tear on the vinyl, he was sold. It was the only car ever owned by the gentlemen he bought it from, who acquired it from the original owner who lived in same building. And there it sat for 17 years, two owners in the same garage basement parking slip, affectionately named Magnolia. My screaming Craigslist deal turned out to be a piece of rolling New York City history. 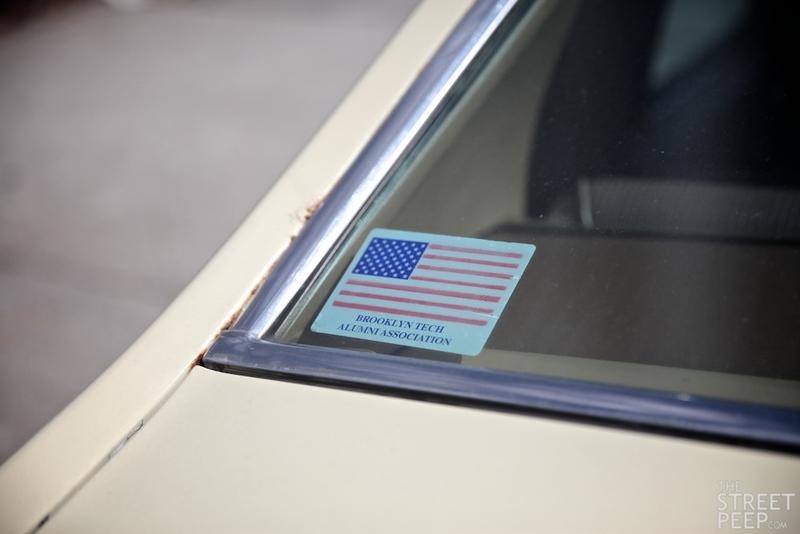 I had picked up the kind of everyday car that a plainclothes police detective or school teacher or neighborhood priest would have driven through the mean streets and over the years ushered inexorably toward its fate as a battered pile of rusty uselessness. 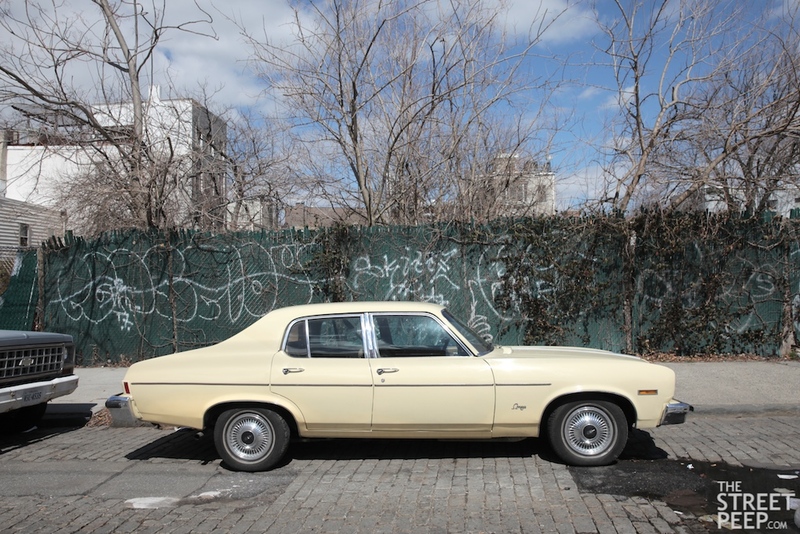 The sort of car you see in all those old Kodachrome snapshots of life in the Big Apple when lapels were fat, glasses turned dark in the sun, and people smoked cigarettes in their fluorescent tube-lit offices. 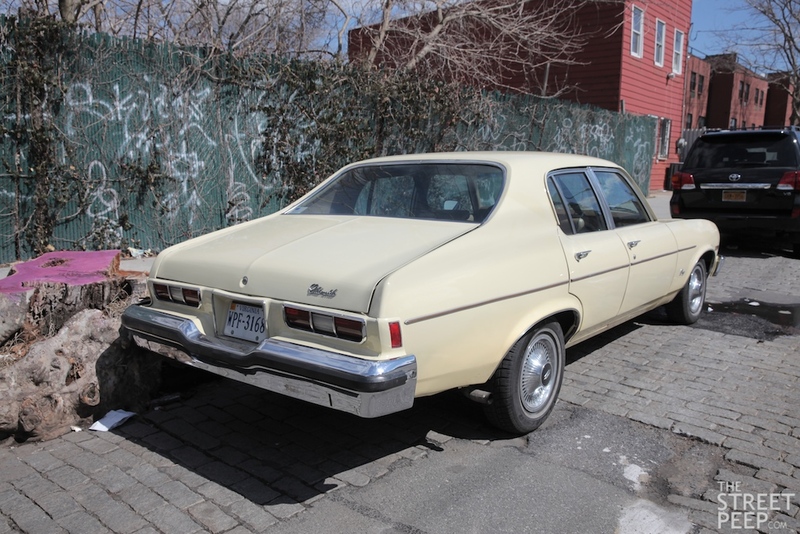 Although most of the others like it are gone, this one had survived, and I was driving it along the Brooklyn-Queens Expressway, blithely unaware of the horde of slow-moving Pruises, battered GMC Envoys, and other modern nonentities jouncing along the potholed lanes beside me. Perhaps one of them would attain this bit of historical glory someday, too. I was briefly thinking about one of these or a similar Noa or Ventura as a fun, retro daily driver. Then I saw gas prices going up again and realized our local potholes would kill a 40 year old car in a week and sadly gave that brainy idea up.The best investment on this platform was the Apollo, made for only a year and a half and mostly forgotten by now. It was so short lived that people saved them early on,anticipating future collectibility, and I still see decent survivors around from time to time.I think Omegas didnt catch on because the name was ruined by an atrocious X-body in the 80s. Wasn't it a Buick Apollo that Roy Scheider used in the movie, "The Seven Ups"? That was the Pontiac version. I think Pontiac sponsored the film.Great scene! Whoa, epic chase scene jsfury. The recurring howl from the Apollo's tires is embedded in my ears. And at the end they go with a convertible! It is one hell of a chase through the streets of New York, and very well filmed. The bad guy driving the Catalina is the same fellow who drove the Charger in Bullet. I thought heard somewhere he was one of Hollywood"s highest pad stunt drivers at the time. From the looks of it I think Roy did a lot of his own driving in that sequence. If that's the case McQueen's got nothing on Schider. Oh, it is a Pontiac Ventura. Gardner I'm not sure what you mean when you say the recurring sound of the tire's. Do you mean, the engine? If that's what you meant then yes, I concur. Listen to it with a set of cans, (old school for head phones), on your head. I really love the scene where after the hood gets blown off Roy car he gets this look on his face that is nothing but sheer determination to nail his adversaries and he really pours the coils to it. This was a popular style based upon the nova body style. For people to wonder why it would be kept are not thinking straight. You could also take it to nova and chevrolet shows or sell out parts of the car to people who own one looking to replace a part. 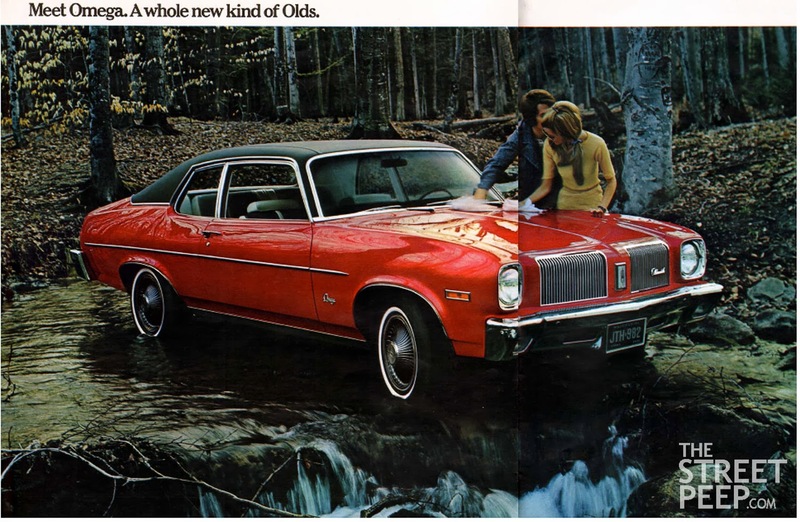 Those exterior body and interior is in excellent condition and could easily go into a nova or other oldsmobile, along with whatever else with a similar style. Just for that fact alone makes it worth something. If you wanted to make that point. This is the four door family model and there is nothing wrong with that. If you were going to get the extra chrome around the windows then why not get the extra chrome option between in the bottom middle of the car, which was also an option. Also, you might as well get the most powerful engine if you were going to upgrade with those optional chrome inserts.